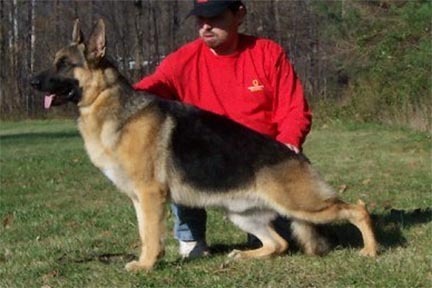 "This is a very balanced, medium sized youngster with solid temperament. He has good breed type, excellent topline and strength of movement. He displays a very elastic gait without being excessive, lengthening his stride the more he is moved around the ring. I look forward to seeing more of him in the show ring, and am sure he has a very good show career ahead of him."